"The perfect man. The perfect story. The perfect murder." 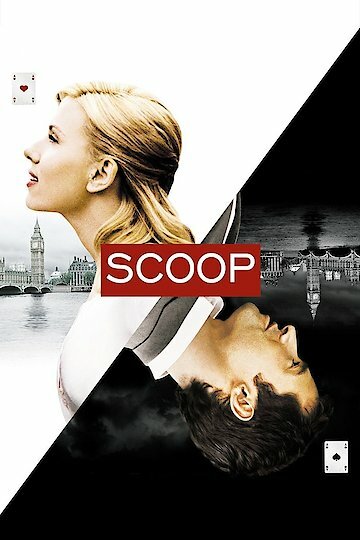 Scoop is a Woody Allen tale of a woman that gets hypnotized. While in a state of hypnosis the women gets visited by a spirit. During this time she gets information that leads her to a charming aristocrat. The excitement ensues as this gentlemen is linked to the information that she received while under hypnosis. The journalist, played by Scarlett Johansson, finds herself intrigued by the the royal gentlemen, but finds that this encounter could be a dangerous one. The film is weaved together with the typical dry wit that Woody Allen is known for in his signature comedy films. Scoop is currently available to watch and stream, buy on demand at Amazon, Vudu, FandangoNow, iTunes, YouTube VOD online.